1. 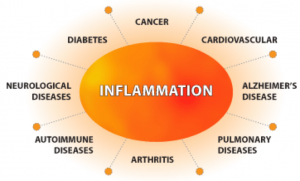 Inflammatory or hot: Patients present with predominantly inflammatory symptoms. 2. Atrophic or cold: Partial or complete wasting away or decrease in the size of the brain. 3. Toxic or ‘vile’ Alzheimer’s: Patients have been exposed to high amounts of toxins. 4. There’s also a mixed type, called 1.5 or Diabetes Type 3, which is referred to as ‘sweet’, and is a subtype that involves both inflammation and atrophy due to insulin resistance and glucose-induced inflammation. For more info’ on Alzheimer’s Disease, check out my website’s Blog.